Unique baseball stats you can get nowhere else with a player rating system that mirrors the way real baseball values its players. Check out the baseball evaluation at Stat Geek Baseball for player ratings, best ever lists for pitching, batting, and fielding plus salary projection comparisons for the upcoming season. We're now Mobile Friendly and Baseballevaluation.com has become Stat Geek Baseball at http://statgeekbaseball.com. There may be some pages still in the change over when you'll be directed to our old site, but hopefully, not that many. Thanks for your patience. Check out our 2018 Pitching, Batting, and Fielding Ratings. Who were the best players in 2018. PEVA - Individual Player Rating for each season. SPRO - Salary Projection data for future years. EXPEQ - Experience Equivalent to Major League Service Time. Sponsor this page for $200 per year. Your banner or text ad can fill the space above. Click here to Sponsor the page and see how to reserve your ad. 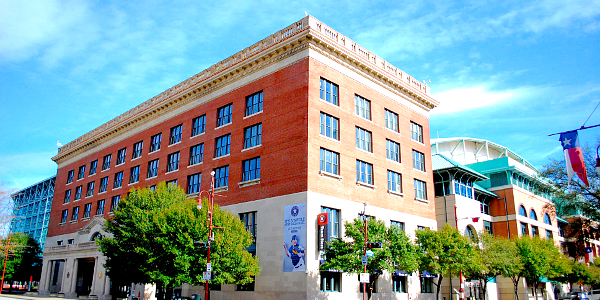 January 22, 2019 - Well, it's too many for us, but to be expected as the trophies for all generation becomes voting members of the BBWAA. Four players, Mariano Rivera and Roy Halladay with certain Hall of Fame credentials, one we think should have gotten there eventually, Mike Mussina, and one on the brink, Edgar Martinez, were voted into the Hall of Fame in the class of 2019. They will accompany two additional players added in December by the Veterans Committee; Harold Baines and Lee Smith. Those two are also marginal candidates for us. Why do we say brink and marginal for three of the honorees. Well, we're not in favor of the very good getting into the Hall of Fame and that's where we think someone like Harold Baines sits. Yes, he has all those RBI, 1628, which in many ways makes him a lock, but there were very few years when baseball considered him the best of the best, (no year when he was Top 5 in MVP voting) so accumulation just doesn't quite get there in this circumstance. With Martinez and Smith, the rationale is the same. We don't think specialists belong in the Hall of Fame, unless they were so special, there's no doubt. The no doubt with a reliever is someone like Rivera; while Smith is close with his 3 Top 5 Cy Young finishes. Martinez just falls short with his counting stats for us, although his special ability to get on base as a 0.300, 0.400, 0.500 player in AVE/OBP/SLG is noteworthy. The fact that he played half of his games as a DH diminishes that to us. How Did the Vote Go for Those Inducted: Mariano Rivera 100%, Roy Halladay 85.4%, Edgar Martinez 85.4%, Mike Mussina 76.7%. 75% is needed for election. How Did Others Do Who Remain on the Ballot: Curt Schilling 60.9%, Roger Clemens 59.5%, Barry Bonds 59.1%, Larry Walker 54.6%, Omar Vizquel 42.8%, Fred McGriff 39.8%, Manny Ramirez 22.8%, Jeff Kent 18.1%, Scott Rolen 17.2%, Billy Wagner 16.7%, Todd Helton 16.5%, Gary Sheffield 13.6%, Andy Pettite 9.9%, Sammy Sosa 8.5%, Andruw Jones 7.5%. All those who did not get five percent of the vote are removed from the ballot next year. 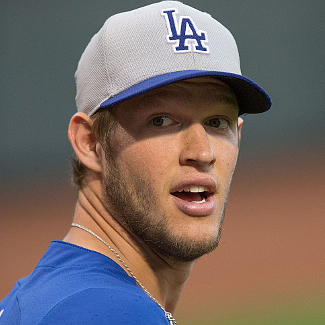 After only eleven seasons of pitching for the Los Angeles Dodgers, Clayton Kershaw has joined the Top 20 of All-Time Pitchers. 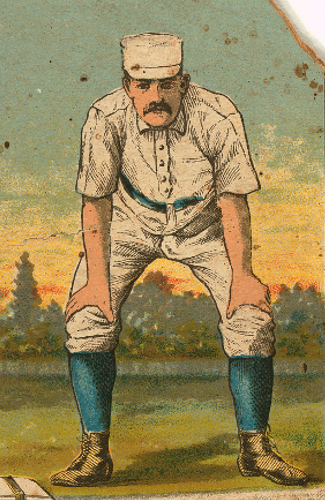 Next up for Kershaw, Gaylord Perry and Christy Mathewson. For the Full Top 100 All-Time Pitching List. If you thought Clayton was racing up the All-Time charts for pitchers, then check out the amazing progress of Angel's outfielder Mike Trout after only eight seasons. 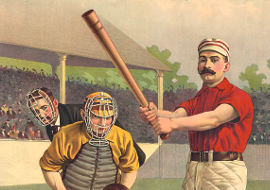 Just where does he sit, check out the Full Top 100 All-Time Batting List. Next up for Trout, Adrian Beltre, George Davis, and David Ortiz. Ebook PDF Format updated thru 2017 Season. Check out our books: Stat Geek Baseball, the Best Ever Book. 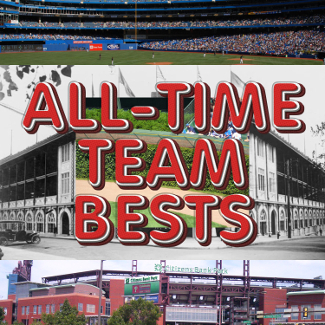 Some of the most unique info on the Best Ever in baseball you'll get anywhere! 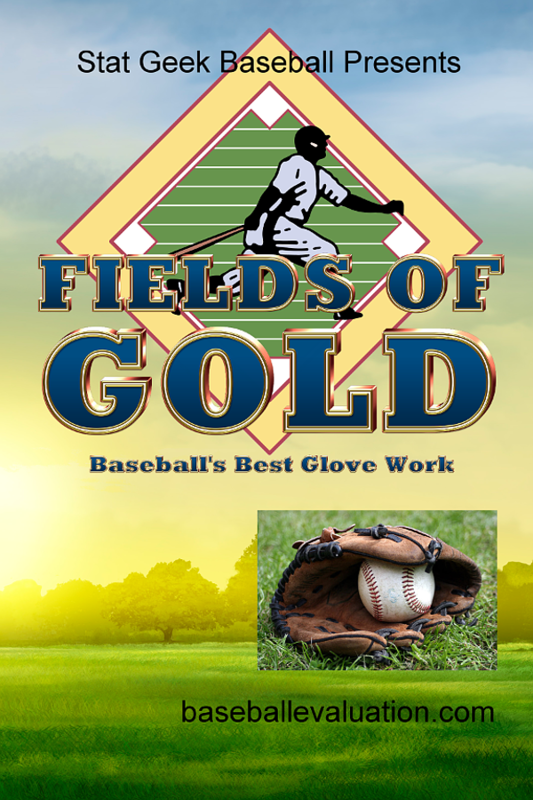 Plus the newest book in the Stat Geek Baseball universe, Fields of Gold, Baseball's Best Glove Work. This month we're focusing on the best seasons ever by the NL West Champions Los Angeles, and before that, Brooklyn Dodgers. Click on over and check it out. New on Site! 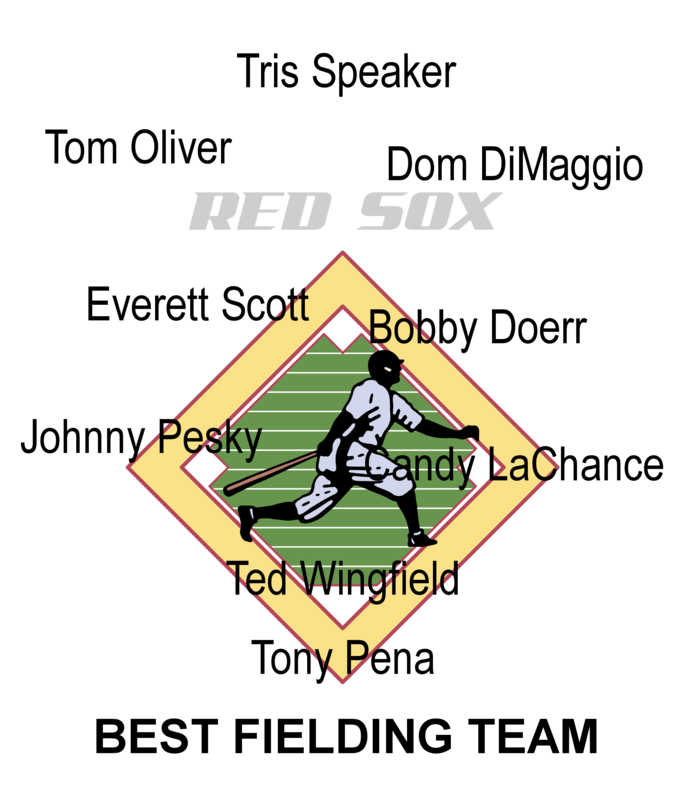 Best Career Fielders by Position and by Franchise! What else happened that year? January 17, 1871 - Andrew Smith Hallidie patents an improvement in endless wire and rope ways for cable cars. And on November 17, 1871 - The National Rifle Association is granted a charter by the State of New York. Check out our Fantasy Baseball Rankings for 2018. 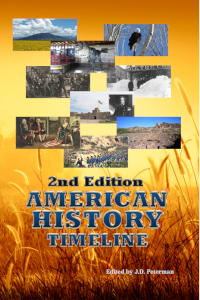 Want More History - Check out our Friends at America's Best History and americasbesthistory.com, where you get the America's Best History Timeline of Historic Events and heritage tourism pages from America's Best National Parks and Historic Sites. Stat Geek Baseball. Baseball evaluation and stats you can get nowhere else!